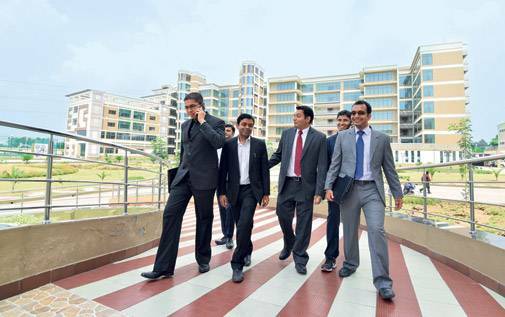 The four frontrunners after IIM-A are very much in tune with the changing industry requirements. It is the best of times for B-school students. And if they happen to be at the top four schools after IIM-Ahmedabad - IIM Calcutta, XLRI, SP Jain Institute of Management & Research (SPJIMR) and Management Development Institute (MDI) - it is certainly time to celebrate. The pace of hiring for the batch of 2013-15 at various schools shows why. At IIM-C, the final placements were completed in an "all-time record time" (an expression used by its placement office) of just 2.5 days as against the usual time of one week. Or take MDI. "All our students were placed in about three days, which was unprecedented, and we had a situation where over 60 companies were not able to find students," says Prof Kanwal Kapil, Chairperson, Placement, MDI. Usually, the number of companies that fail to hire any student at MDI is 10 to 15. 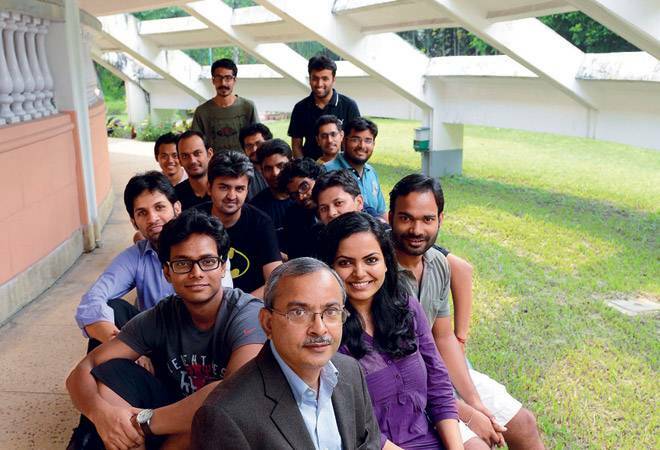 At XLRI, everyone got hired in just three-and-a-half days. The mood was equally upbeat at SPJIMR, which follows a cluster approach and not a day-based system. In this, students and companies are put into different groups and assigned different dates. Though the procedure is by its very nature long drawn, SPJIMR's "maintained its record of being the first B-school to announce closure of placements," says its placement report. Prof Kapil of MDI says this is due to two factors. "First is our alumni. Many of our former students are heading organisations in India. This means some of the biggest brands and business houses hire from the campus." Second is the emergence of e-commerce which, he says, got reflected in the placements. "About 46 out of 328 students (14 per cent) joined e-commerce companies as against 13 out of 319 (four per cent) in the previous year," he says. While it is debatable whether early placements are the best, there is enough evidence about the enthusiasm of recruiters in these four B-schools. But what is driving this interest? To get an answer, we asked Ganesh Krishnan, a serial entrepreneur who is the co-founder and Chairman of Portea Home Medical Services and also a member of the Board of Governors of IIM Calcutta. "People recruit on the basis of outlook for the next year. Normally, recruitments depend on how rapidly you are expanding." Giving the example of Portea, he says, "Portea is looking at three M&As over the next six months. We need additional talent to manage these M&As," he says. This year, Portea has hired 10 people in all from IIM-C and Indian School of Business, as against two last year. Incidentally, both Krishnan and his wife, Meena Ganesh, the CEO and co-founder of Portea, are alumnus of IIM-C.
One thread that runs across these four institutes is that they are alive to the changing needs of industry and planning well into the future. "While e-commerce has been a big growth driver and will continue to be so for the next year or so, we need to look out for the next growth drivers, which are likely to be sectors where there is an interface between technology and finance," says Ranjan Banerjee, who was appointed the Dean at SPJIMR in April this year. He is referring to the emergence of payment banks and small finance banks that will in all likelihood make their way to B-school campuses in the next three to four years. "We are taking the opinion of our advisory council on how the courses can be designed accordingly and ramped up with new faculty, curriculum and international collaborations," he says. "We have to be ahead of the curve. Today, it is clear that the role of analytics will grow, and that is where we need to build," he says. Also, the e-business component is being enhanced, he says. At a broader level, the area advisory councils (one for each major specialisation - finance, operations, marketing and information management) of the institute, he says, are being strengthened by the addition of new experts. They are also meeting more often. Plus, the governing body, headed by HDFC Chairman Deepak Parekh, has seen some important additions in the last one year. These include Ireena Vittal, former partner, McKinsey and Company, who is on boards of several leading corporations, and Ravi Venkatesan, the former CEO of Microsoft India and Chairman, Social Venture Partners. The emphasis on entrepreneurship incubation is also being increased. The idea, Banerjee says, "is to gear ourselves not only for placements but also for the shift in society." IIM-C is making similar efforts. In a first-of-its-kind initiative in tune with industry and student aspirations, three institutes, led by IIM-C, have launched a two-year programme in business analytics, which is about explaining numbers using statistical and operational analysis. The two-year programme, called Post Graduate Diploma in Business Analytics, is hosted by top three West Bengal-based institutions - IIM Calcutta, IIT Kharagpur and Indian Statistical Institute). The students spend six months at each institute. The last six months they work as interns. In the flagship post-graduate programme, too, new elements are being brought in, including the way the course is taught. "More and more courses are now not lecture-oriented. 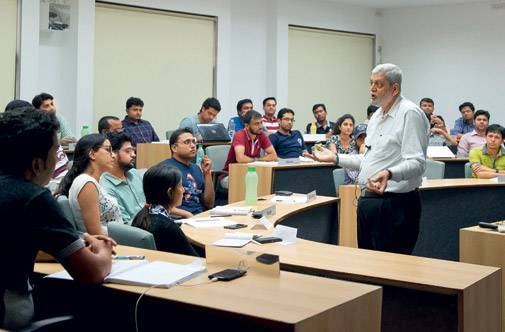 They are getting more simulation- and game-based," says Uttam K Sarkar, Professor and Dean, New Initiatives and External Relations, Management Information Systems at IIM-C. Sarkar, in fact, teaches social network analytics. "Only 40 per cent lecture is on core concepts. The rest of the time we play games in the class." The other thing these B-schools are doing is changes in the electives offered. In 2013/14, for instance, XLRI's elective on basic econometrics was redesigned as applied econometrics for managers and the e-business elective was restructured as an elective on electronics business and markets. Also, in marketing, the elective on rural marketing was redesigned as marketing in emerging countries. MDI, in order to take a holistic view of where it was and where it was heading, organised a two-day faculty retreat in late April this year. It was attended by 60 faculty members. According to C P Shrimali, Director at MDI, "There were three objectives. The first was to prepare for the changing requirements. The second was to look at all our nine programmes with an eye on quality so that they set benchmarks. The main idea was to align them with market requirements. And the third objective was to look at what is needed to facilitate the first two objectives. We did a SWOT analysis and looked at infrastructure. The benefits are beginning to show," he says. The entire campus is now wifi-enabled and 15 people are being added to the faculty. This is apart from the changes in the courses, he says. 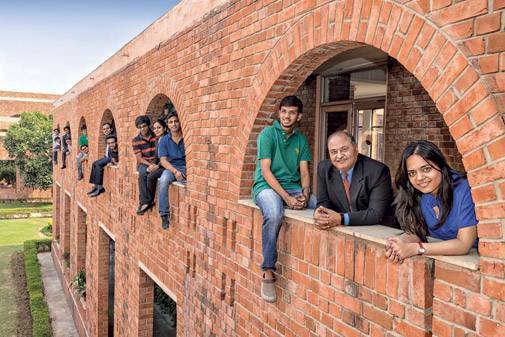 It seems change is the only constant at these four B-schools.